Serums are marvelous formulations that can be a worthwhile addition to your skincare routine. Focused on fighting the active signs of aging and improving the skin texture, they impart an exceptional glow on your face. Serums are meant to be used after toners and before moisturizers. The usage of these serums is not limited, i.e. you can use them twice a day as well, depending upon the condition and requirements of your skin. They penetrate deep down into your skin nourishing it from within and at the same time, restoring the natural skin PH levels. It checks the excessive secretion of oil, keeping the skin healthy and salubrious. Incorporating the use of serum into your daily routine may prove to be little heavy on your wallet, but it might just be the essential key to a glowing and clear skin. The women who have started using these amazing beauty potions swear by the use of them. 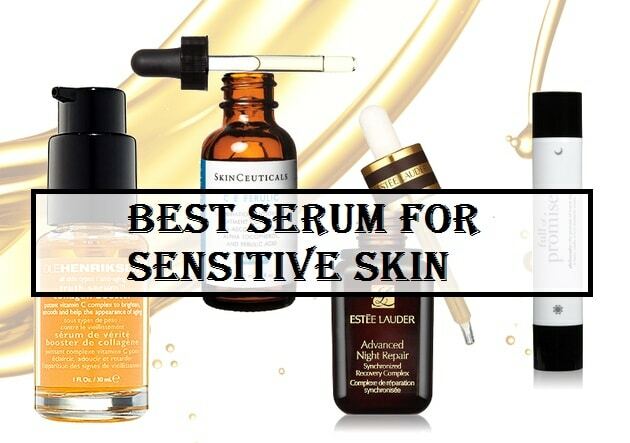 How to Choose the Best Serum for Sensitive Skin? Free from all irritants such as alcohol extracts or fragrant plant oils etc. So, whether you are already a big fan of serums or are all set to experiment with one for the very first time, check out our list of top 5 amazing options that will definitely help you achieve the skin of your dreams. 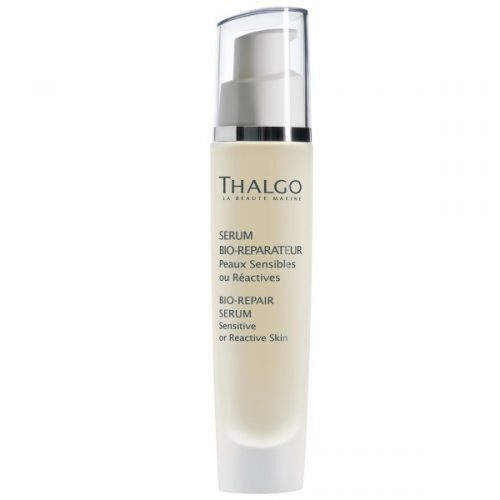 Thalgo Bio-Repair Serum is a soothing formula that is an ideal solution for sensitive/ reactive/ fragile skin. It contains hyposensine, an essential Thalgo complex rich in peptides and algae extracts, which helps to boost the skin’s sensitivity and tolerance levels. The plant extracts present in the serum refreshes and rejuvenates the skin and treats inflammation. Apply the product once during the morning. Follow with the application of a suitable moisturizer. 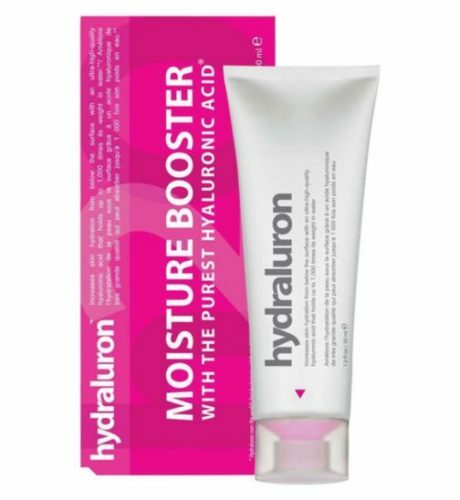 Hydraluron Moisture Serum is a thick, rich, fragrance-free formulation that is sticky in the start but dries to offer a silky and nourished finish. It contains hyaluronic acid in its salt form, known as sodium hyaluronate that helps in locking the skin moisture and at the same time offers deep skin hydration. Apart from this, the great serum contains a variety of emollients, antioxidants and skin-repairing agents that help to boost the overall texture of the skin. Apply a minor amount of serum on the freshly cleansed face twice a day- morning and evening. Follow with a good moisturizer. Daily use is recommended for securing best results. 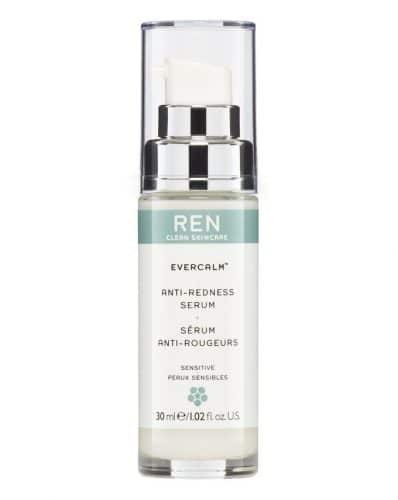 REN’s Evercalm Anti-Redness Serum is an amazing skincare product that fights redness, calms down the irritation and augments skin’s tolerance to environmental irritants and aggression. It trains skin to be less susceptible and keeps the active signs of aging at bay. It contains milk polypeptides that soothe and strengthens the skin and Beta- Glucan that reduces irritation and redness. Rice protein increases the life of skin cells that are responsible for the texture and volume. Rumex is a wild herb prevents hyperpigmentation and decreases swelling. Hyaluronic acid provides long lasting skin hydration. Apply it before the application of a moisturizer in the morning and night cream in the evening. 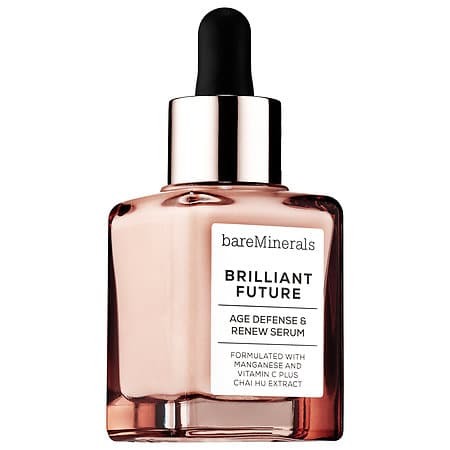 Brilliant Future Age Defense & Renew Serum is a great triple action formula that provides deep skin nourishment and combats the early signs of aging, giving you a radiant looking skin. it fights environmental aggressors and irritants and is non-comedogenic. The serum combines a host of high-performing ingredients such as Manganese, extracts of Chai Hu, Vitamin C etc. that diminishes the appearance of pigmentation and wrinkles and gives a youthful-looking skin complexion. It rejuvenates the skin, replenishes the moisture content and promotes the natural luminosity of the skin. The strengthening properties of the serum keep the action of external factors in check and support the function of skin’s natural barrier. Apply a minuscule amount of the serum to the fingertips and rub on your face and neck. 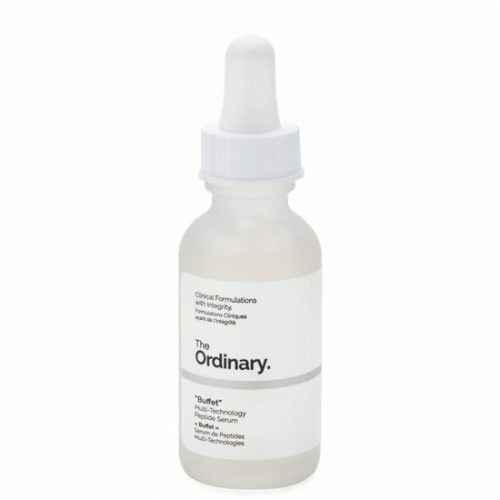 Buffet by The Ordinary is a well-rounded product formula that offers a highly impressive mix of ingredients to give you an amazing and fresh-looking skin. It visibly reduces the signs of aging and improves the skin texture. Packed with nourishing peptides and glycerin, amino acids, sodium hyaluronate and numerous other skin-replenishing ingredients, the serum seeks to reinforce skin’s regenerating properties. it hydrates the skin without leaving behind a greasy feel. Also, it easily layers with other products such as a moisturizer, BB cream etc. It doesn’t give you much when it comes to anti-oxidants, but for the price of it, this much is surely forgivable. Apply twice a day- morning and evening, after thoroughly cleaning your face. It comes in a frosted glass bottle with an easy dropper applicator. 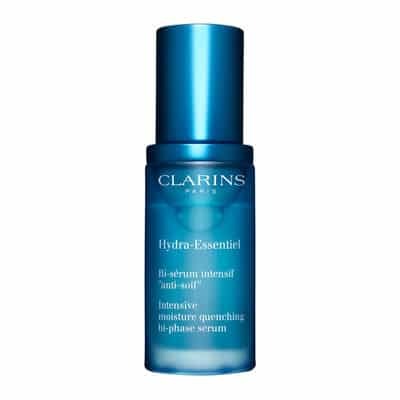 Hydra Essentiel Bi-Phase Serum is a thin-textured formula that offers instant results by making the skin hydrated and plumped. It is a lightweight solution that is ideal for skin that lacks radiance, feels tight and is prematurely lined. It protects the skin from external factors that can make the skin rough, cracked and dry. The serum contains organic, leaf of life extracts, a salubrious plant that augments the skin’s natural ability to hold moisture. It also contains Callicarpa extract and Organic Mary’s thistle oil that nourishes the skin from within and improves skin texture and radiance. The blackcurrant bud extract renders soothing properties to the serum and helps to improve the skin quality. Mix the serum in the palm of your hand and apply it twice a day- morning and evening. Follow with the regular moisturizer. So, for all of you having a sensitive skin, it is mandatory to follow the face serum with a good lightweight moisturizer as there are numerous serums that tend to leave the skin dry. Also, generally these face serums present results with daily usage. In a case, where you are using anti-aging serums, it is imperative to use the product religiously for a month at least to witness results. Switching between products will only harm your skin, so give some time before changing any product. It is important to know which ingredients should be preferred and which ones should be avoided in order to deal with your sensitive skin. Find out the list of the ingredients before selecting any face serum. People looking for a hydrating face serum should choose a product with ingredients such as essential fatty acids. Similarly, if you need a face serum for treating acne scars, look for ingredients that possess anti-inflammatory properties such as aloe vera that will soothe the skin redness. Therefore, the ingredients of the serum will have a definite result on the outcome achieved. So, choose wisely and do not experiment too much. With these amazing face serums, you are surely one step closer to achieving the skin of your dreams.